When troubled teens are struggling with personal issues in their life, lack of motivation is a common issue. Motivating troubled teens in life and to make positive behavior choices can be a difficult process but is possible. Treatment options are available to troubled teens through the therapeutic programs offered at Liahona Academy. To find out more about motivating troubled teens in life, call Liahona Academy at 1-800-675-8101. Teenage years are full of growth and development and can sometimes present difficult situations that result in personal issues in teens. Some issues that teens can develop during this time include but are not limited to emotional issues, behavioral issues, substance abuse and addiction, academic issues, and family or adoption issues. Troubled teens will often seek some sort of treatment (therapy, boarding schools, rehabilitation, etc.) and begin to make positive growth in dealing with their personal issues. But a lack of motivation in these teens can be enough to stop any further progress or cause relapses into old negative behaviors. For teens that continue to struggle finding motivation to overcome the personal issues in their life, there are many different treatment programs available that should be carefully researched and considered. Before deciding on a program, parents of troubled teens need to properly identify the severity their child’s situation. Some of these programs include boot camps, therapeutic boarding schools, wilderness treatment programs, specialty boarding schools, residential treatment centers, drug rehab programs, behavioral modification programs, etc. All programs offer different benefits and can help to motivate your troubled teen in overcoming their personal struggles. Liahona Academy is a residential treatment center that provides therapeutic programs to help motivate troubled teens in life. Residential treatment centers are very different from normal short-term therapy programs, which is very beneficial to troubled teens that lack motivation and need a little extra attention. 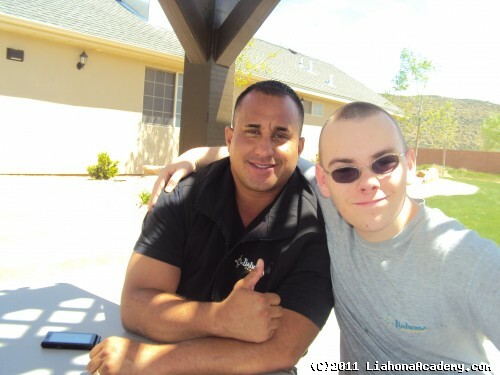 Residential treatment centers, like Liahona Academy, are long-term facilities that offer many different programs focusing on correcting a wide range of personal issues in troubled teens. The programs at Liahona Academy give teens a safe and secure environment they need to take the necessary time and steps to overcoming their struggles. Our staff works diligently to build friendships with these teens and encourages them to participate in our therapeutic programs to the best of their ability. They instill feelings of hope and respect, which has proven to result in a gradual but steady development of motivation. We help our troubled teens realize and embrace their potential to be great. Liahona Academy provides the necessary tools to successfully motivate troubled teens in making positive behavior choices. For teens struggling to find the motivation needed to make the journey successfully into adulthood, treatment centers such as ours can be extremely helpful. Call Liahona Academy at 1-800-675-8101 and allow us to assist your troubled teen in reaching their potential.